＊ A side portable strap for easy carrying. ＊ Portable and durable hanging hook design. ＊ Can hold your towel, toothbrush, toothpaste and other small thing. ＊ Interior space is large enough for you to put your makeups and toiletries. 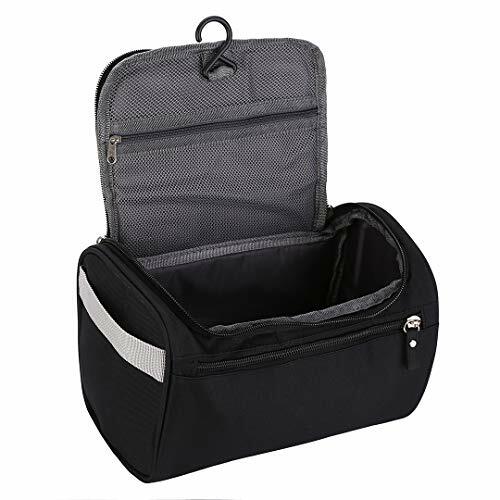 ＊ Can be used as toiletry organizer travel bag hanging,hanging toiletry bag for boys,sports bag organizer. ＊Due to the hand measurement, there may be a few size error about 1-5mm. ＊Item color displayed in photos may be showing slightly different on your computer monitor since monitors are not calibrated same.